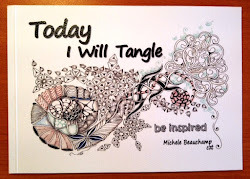 Mariet from The Netherlands creates absolutely gorgeous Zentangles, you may have seen some of her creations on flickr, she now has a blog, I suggest you pop over and take a look at her fantastic art! 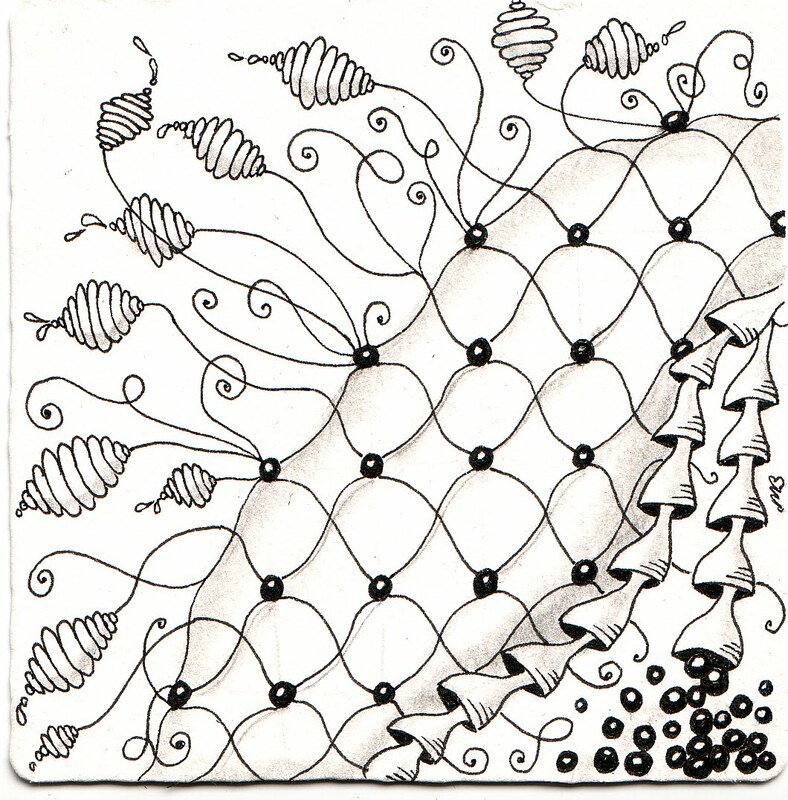 http://www.studio-ml.blogspot.com. 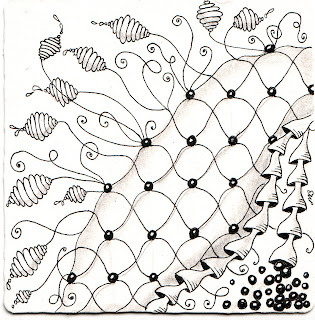 Today I played with her tangles Lampions, Fishnet and Toeter. 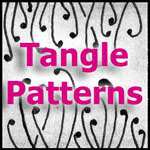 Beautiful tangles and design. I'm going to have to try them too. And thanks for the link. I'm checking it out next. Thank you for finding and sharing the link to Mariets blog ;-) . You do such beautiful work. I enjoy and look forward to seeing your blog each day. This is a wonderful surprise to me. I'm flattered that you like them. I admire your work very much !